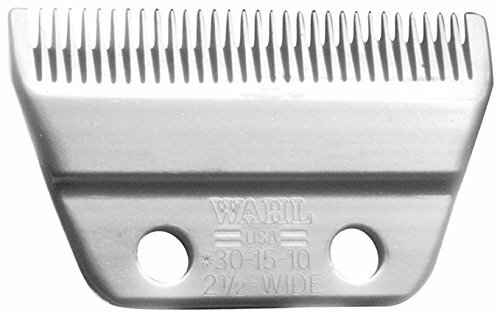 Wahl Professional Animal's Standard Adjustable #30-15-10 Extra Wide Replacement Blade set fits Wahl's Pro Ion, Iron Horse, Show Pro Plus, U-Clip and Deluxe U-Clip animal clippers. Easy-to-adjust taper level adjust between 3/64 inch and 3/62 inch cut lengths great to clip and trim your dogs, cats, horses and livestock. This blade set is made of high grade stainless steel for the best feeding of pet hair fur to provide groomers with the best clipping, trimming and grooming experience.